At about this time twenty years ago I started teaching far from where I had ever lived before. Except a year in Bologna Italy and two years in Washington DC, I had grown up and gone to college in Sioux Falls, South Dakota, and then lived for ten years earning my Ph.D. at the University of Minnesota in the Twin Cities. I taught my first class in 1989 at Minnesota, and one semester taught a course there and at both St. Olaf and Carleton College in nearby Northfield. The year before I came to UMF I taught the year at St. Olaf as a sabbatical replacement. As I walk through campus it strikes me how different things are, even while much looks the same. I got my employee ID (which I should probably replace since the picture is 20 years old) at a small shack that no longer stands. A church that sat next to campus has now become home to the Psychology department. An old house that served a variety of functions, with special student apartments below them was replaced by a state of the art education building. The fitness center that everyone was so proud of in 1995 now is something people hope to replace – though the programming and inside facilities have improved greatly. The spacious fitness center doubles as the graduation ceremony venue if the weather outside is rainy. Luckily that happens only rarely. The old Honors house was replaced by a new state of the art dormitory, with a new house purchased across the street for the Honors program. 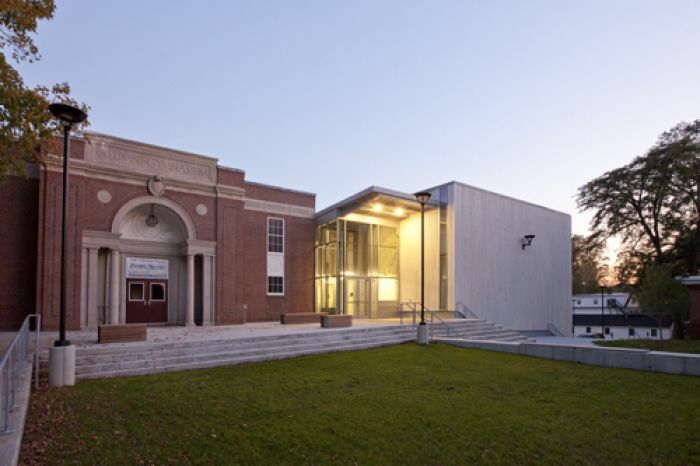 A $5 million dollar performing art center was built, serving the university and greater community. Buildings were upgraded and refined. But UMF retains the feel of community that I fell in love with my first year here. Probably the most fascinating aspect of the last twenty years is the pace of change – it’s been amazing to watch the information revolution plow forward. In 1995 I was dismayed that research papers had to be done mostly with sources like Time and Newsweek, as the library had very little political science. Inter-library loan existed, but was difficult to navigate. More than once I reserved a university van to haul students to Orono so they could research in a “real” library. That was the disadvantage of being a small rural university without a lot of money – the students didn’t have the resources they did elsewhere. 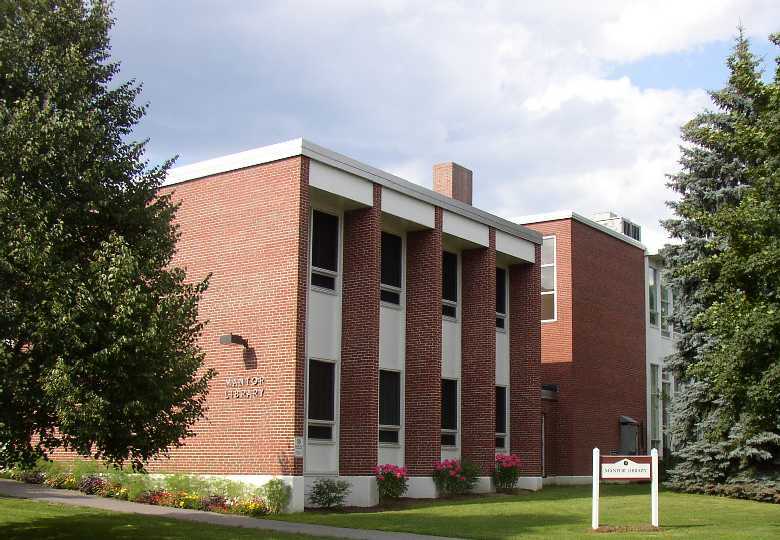 The Education building, certified Green (geothermal heating/AC) replaced traditional “house” and parking lot. All that has changed! This week I took my first year seminar students to the library to learn how to use the state of the art library website. From their dorm room they can order books from anywhere in the world. 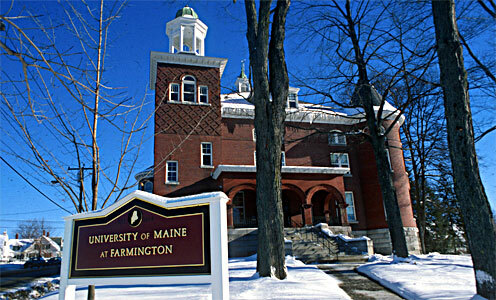 Books anywhere in the U Maine system arrive in two days. More impressively is access to data bases that go far beyond what most undergraduates utilize even at those places with research libraries. Suddenly the disadvantage of being here is gone, students don’t even have to go to the library; they find sources, the website puts it in citation format, they can download articles, and have a world of academic information at their finger tips. Add to that what you can find on the web – statistics, tools to analyze and graphically represent statistics, etc. – and the challenge is for students not to be overwhelmed by the wealth of information and analytical tools. After I moved here I bought some furniture and a home computer. I had a desk top provided by the university in my office – a Pentium 100, hardwired to the internet. At home I spent nearly $2000 to get a Pentium 75 that had a modem so I could call in to connect with the university system via phone. Since about 2002 the university has provided laptops, meaning we no longer need a separate home computer. And of course, now the whole campus is wifi, even outdoors. In 1995 some faculty members and even students still resisted using e-mail. We were flooded with memos and papers; now it’s all via e-mail. The computer centered buzzed with students finishing and printing out papers, or surfing the net. Now most have their own computers. It’s been years since I’ve required hard copy of papers – now they are submitted electronically on an educational site called “Blackboard,” where I also grade and comment. No more gradebook, Blackboard handles everything, including a forum for class discussions. Mantor library once focused on books. The old building has many levels, almost like a labyrinth! Now it’s a multi-media information center with its own cafe – it has changed with the times! When I wanted to show a film, I’d have to request a TV with a VCR be brought to the room. Now every room is “smart,” set up for multi-media presentations. Powerpoint wasn’t yet in use by students in 1995, and many faculty members discouraged it in favor of traditional methods. Now, it and other presentation software get used and our job is to help students learn how to use them effectively. I could go on and on. In 1995 I’d trudge to the library every week to read Der Spiegel to keep up with events in Germany. Now my Apple Watch gets alerts from Der Spiegel. And this doesn’t even touch how much the internet has changed everything – now it’s common if a question comes up in class to have a student look up the answer. Information on just about anything is available on demand. The big story that fall was the trial of OJ Simpson. My “Politics of Post-Communist Societies” class talked me into taking them to the snack bar to watch the results of the trial. The snack bar was full as the verdict was read – I recall being amused at how angry some of the students got! We weren’t yet talking much about the failure to stop the Rwandan genocide the year before. Now that case is integrated into my World Politics course, and the OJ is all but forgotten. Those days the fear was that on line universities would overtake ‘brick and mortar’ college life. They found their niche, but the niche had limits. Boris Yeltsin was President of Russia, Saddam Hussein was getting impatient with weapons inspectors being in Iraq over four years after the 1991 Gulf War ended, and I was enjoying the music of break out artist Alanis Morrissette. Bill Clinton was President, but a raucous House of Representatives led by Newt Gingrich was on the verge of shutting down the government to try to get Clinton to meet their demands. At this point, Clinton looked like he might only serve one term as President. 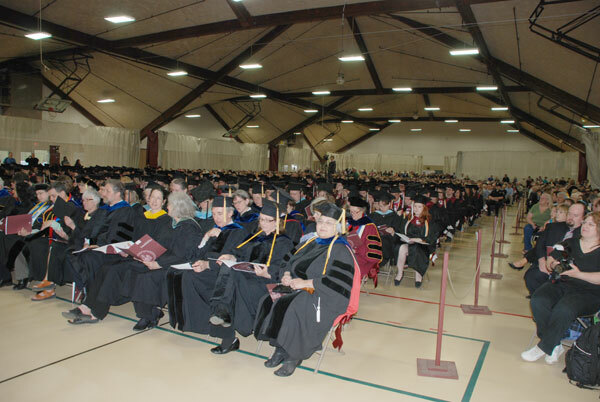 As Bob Seger put it…”20 years now, where’d they go, twenty years, I don’t know…I sit and wonder sometimes, where they’ve gone…” Though I have every intent to still be teaching here twenty years from now! This entry was posted on September 12, 2015, 14:31 and is filed under Education, Technology. You can follow any responses to this entry through RSS 2.0. You can leave a response, or trackback from your own site. I hear you! I tell students about typing papers and then realizing I missed the mark an inch from the bottom and thus typed below the margins and had to retype the page. And if you make changes – you have to retype the whole paper. I guess it’s the equivalent of “I had to walk four miles uphill in snow to school,” but that is how it was. That’s what’s cool about growing old – to live through the changes! What a great post. You just reminded me of my college (night school) days back in the mid-80s/early 90s. I did not have the opportunity to attend college full time – days. I had to attend at night while working full time. I honestly don’t know how I did it. Looking back thinking about makes me tired.